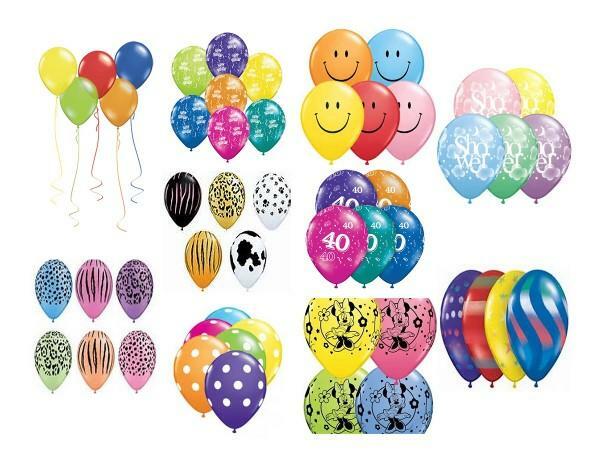 Helium or air filled...If you need balloons..We've got them...Just loose, on weights, in a bouquet, balloon trees...plain, printed, themed, latex, foil, bubbles, We've got 'em. 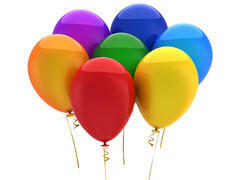 One 11inch round, helium filled, printed, latex balloon. Includes ribbon. Does not include weight. Pricing includes tax.